Happy Earth Day! 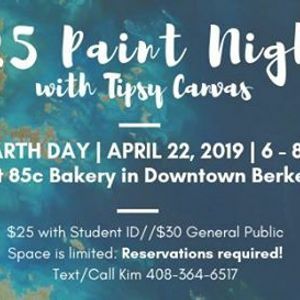 Come CREATE your own masterpiece while enjoying a *complimentary* 85c Bakery pastry at the Downtown Berkeley 85c Bakery location. No experience is necessary - we show you step by step with all materials included. 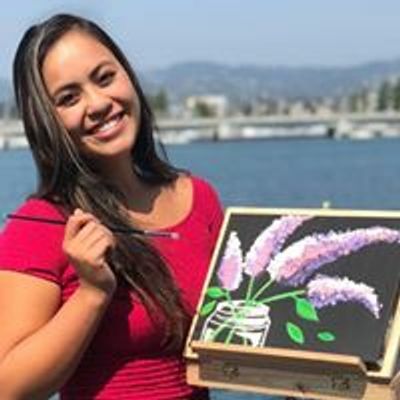 Paint class is $25 with Student ID or $30 to the General Public and must be sent via Venmo (@tipsycanvas) to reserve your reservation.